Fed up with spotting typos too late, after your work has gone to print? Well we spot them straight away, albeit after several read-throughs, and save you the shame and dent to your professional pride, customer respect and financial bottom line. We notice mistakes in print every single day, in mainstream broadsheet newspapers such as the Times, Guardian and Telegraph amongst others – despite up-to-date modern spell-checking. If, anything, they have got worse over time with an over reliance on technology and reduction of in-house checking and editing. Another place we find them frequently is in restaurant menus – and not only the struggling foreign menus done in faltering English whilst you are abroad, these are at home British restaurants! We even had to send back our first batch of business cards, because the printers made a mistake. Not a bad one, but a colour was off substantially. Some errors are visual. One of the first proofreading jobs one of us had was in a PR company, and they spotted a logical blunder – “a talking newspaper for the deaf” – which should of course have read “for the blind”! Nobody else noticed it. So trust us, because we don’t even trust ourselves, or Microsoft Word, or Google – we triple check everything! Another set of eyes, alternate educational background, different cultural or language perspective can pick up a whole raft of type, print, visual or logical inaccuracies or inconsistencies that the first (and/or second) reader may not have noticed. 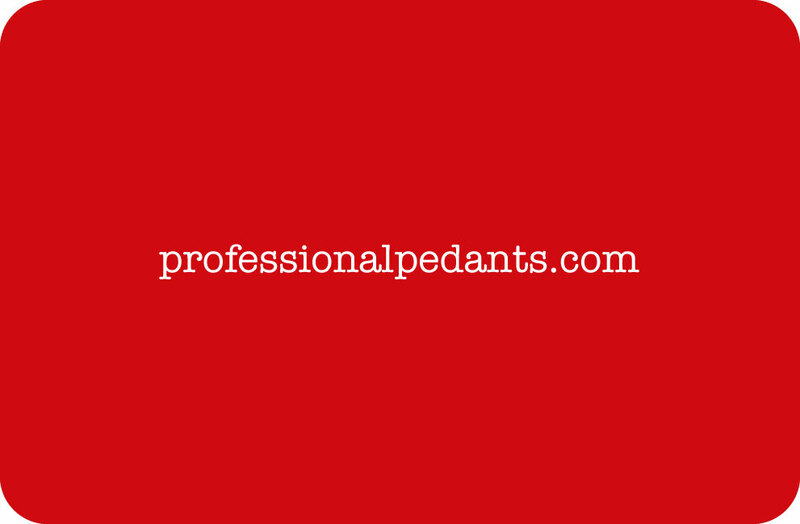 Proud to be professional pedants! 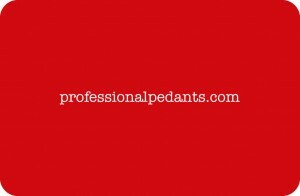 We positively pride ourselves on being persnickety pedants, picking at everything, painstakingly precise and punctiliously point-perfect until it is of peerless quality and professional appearance. Did we mention that we love words, alliteration and can offer copywriting skills too? Not to mention translations, publicity, SEO and social media marketing, ebook creation, and design, through sister businesses. A Historic Anomaly or is that An Anomalous use of ‘A’? Dispatch or Despatch, which is the correct English spelling?